Dr. Lloyd H. Darby III with one of his many accolades for community service. 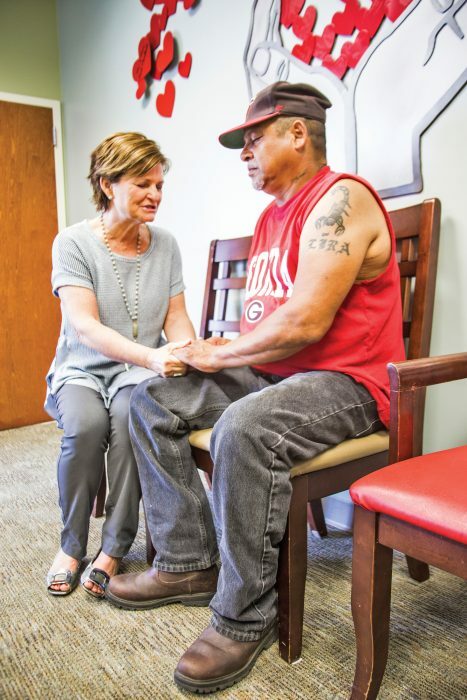 Dr. Nancy Stanley praying with a Mercy Ministries patient, Geraldo Lira, before his appointment. Photos by Eric S. Love. Editor’s note: This is the fourth in a series of Word of Mouth articles highlighting community-based dental rotation sites for seniors. An unpaid water bill solved the mystery. A patient at the Lloyd Darby Compassionate Care Dental Clinic in Vidalia, Georgia, dolefully admitted during a recent teeth-cleaning that she hadn’t been brushing. That seemed strange. The patient was always immensely grateful for the care she received at the clinic and generally complied with oral-hygiene instructions. Only further gentle probing revealed that the patient’s water had been cut off; she hadn’t been able to pay the bill. No water, no brushing. 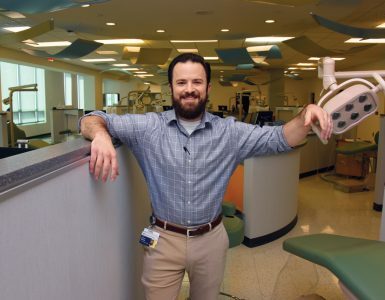 More broadly, what he and his fellow volunteers do is serve hundreds of the community’s neediest citizens, most of whom would lack access to dentistry without the clinic. The clinic is a component of Mercy Ministries, a nonprofit seeking to better serve the health needs of the community’s many impoverished citizens. 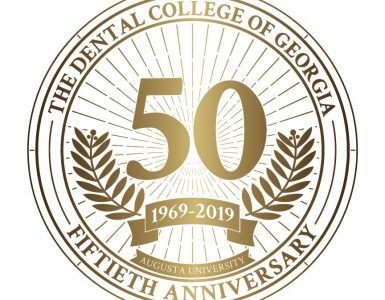 Approximately five years ago, Stanley approached Darby, a third-generation dentist in south Georgia. 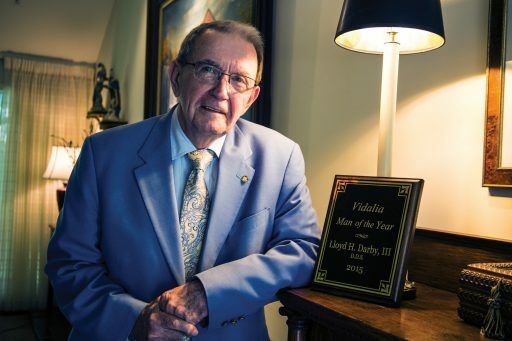 Darby, now 78 and a graduate of Emory University, was experiencing health problems of his own – melanoma, then lung cancer – and had already been considering selling his practice. But he still wanted to stay active in dentistry, so the timing was perfect. He happily signed onto the project. 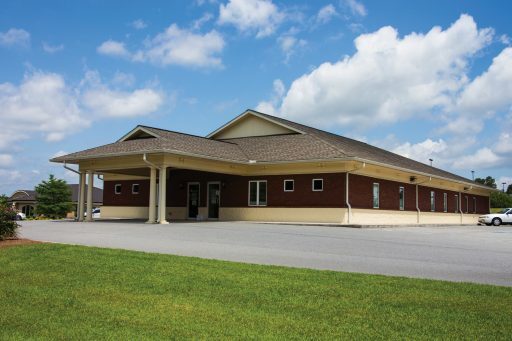 The East Georgia Healthcare Federally Qualified Health Center provided a facility for the clinic, and The Dental College of Georgia agreed to use it as a rotation site. Two seniors at a time sign on for two-week rotations, providing dentistry supervised by Darby. Other dentists pitch in as well. For instance, Dr. Michael Frazier (’08) helped staff the clinic before opening a practice in Rochelle, Georgia, that also offers extensive care to the uninsured. Darby says the most satisfying aspect of this phase of his career is doing what he loves without having money factor into the equation. 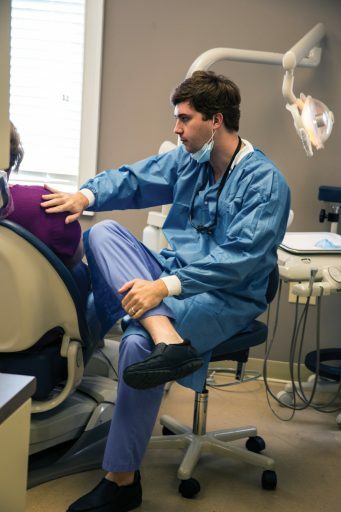 Dr. Grayson Griffis (‘15) is among those providing treatment at the Lloyd Darby Compassionate Care Dental Clinic. 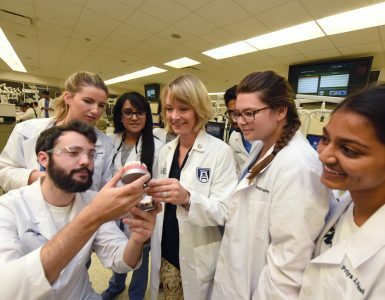 “We charge just enough to keep the doors open and the lights on,” he says, noting that his nephew, a Vidalia physician, observed that many of their fellow citizens are as needy as those in the desperately poor country of Belarus, where he has completed mission trips.